While a student at Amherst College, Steinman wrote the book, music, lyrics, and starred in this spectacular play. He was discovered here by Joseph Papp (founder of the New York Shakespeare Festival) who purchased the rights to the show during intermission while attending a performance at Amherst College. Commissioned by Papp, Steinman collaborated with Michael Weller (Hair and Ragtime) on this musical. During auditions for this play, Steinman and Meat Loaf first met. Kerrang! magazine names this meeting one of the Top 10 most important moments in the history of Rock and Roll.Commissioned by Papp, Steinman collaborated with Michael Weller (Hair and Ragtime) on this musical. During auditions for this play, Steinman and Meat Loaf first met. Kerrang! magazine names this meeting one of the Top 10 most important moments in the history of Rock and Roll. Recorded by Meat Loaf, produced by Todd Rundgren with Jim Steinman, written and arranged "down to the last grace note of every vocal phrase," by Jim. The Guiness Book Of World Records recognizes Bat Out Of Hell as the longest charting album in history. Bat Out Of Hell is also the largest selling debut album of all time and the third largest selling album ever. Jim also conceived and co-directed the highly influential proto-videos for "Bat Out Of Hell," "Paradise By The Dashboard Light," "Two Out Of Three Ain't Bad" and "You Took The Words Right Out Of My Mouth" during the pre-MTV era. He also conceived the cover art as painted by Richard Corben. Written & produced by Jim Steinman for the Universal TV series "National Lampoon's Delta House." Steinman writes and produces an all-orchestral soundtrack for this United Artists release. Jim Steinman writes and arranges his only solo album. Once again produced by Todd Rundgren with Steinman, this album is hailed by critics and fans alike as the true companion piece to Bat Out Of Hell. Recorded by Meat Loaf, Steinman writes another blockbuster set of songs for Meat Loaf's follow-up LP. Worldwide sales stand in excess of 8 million copies. "Dead Ringer For Love" was a #1 hit in the UK and featured a video starring Meat and Cher. Recorded by Bonnie Tyler, produced and directed by Steinman. Featuring the #1 worldwide smash hit single and 1983 Grammy nominated song, "Total Eclipse Of The Heart." This was the first album by a female artist ever to break in at #1 on the UK charts and earned her a Grammy nomination for Best Female Vocalist. 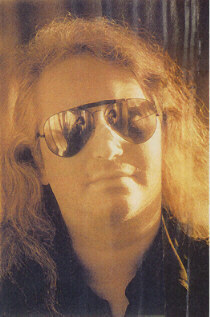 Jim Steinman's "total eclipse of the charts" happened when for four consecutive weeks "Total Eclipse Of The Heart" held the #1 spot with "Making Love Out Of Nothing At All. ", Jim is the only individual to have written and produced songs that were #1 and #2 simultaneously. "Total Eclipse Of The Heart" went on to hit #1 again and again as recorded by Nikki French, Bonnie & Kareen Antonn (Si Demain) and again during the 2017 solar eclipse when it hit number 1 on iTunes. It was featured in Glee and in Julianne Moore movie Gloria Bell. From The Very Best Of Air Supply, Jim wrote and produced this #2 single which was held from the #1 position by Steinman's "Total Eclipse Of The Heart." Recorded by Billy Squire, co-produced by Steinman. From Barbra Streisand's Emotion LP. Wrote and produced this #1 Adult Contemporary single which was also Barbra's first video and featured Kris Kristofferson. From Barry Manilow's Greatest Hits Volume II LP. Jim Steinman wrote and produced this, Barry's last Top 10 hit. Jim writes and produces all of the concert music for the Universal Pictures release of the Walter Hill film including the singles "Nowhere Fast" and "Tonight Is What It Means To Be Young." Co-wrote and produced the single "Holding Out For A Hero," recorded by Bonnie Tyler for this Paramount Pictures movie. From The Wrestling Album, wrote and produced. Recorded by Bonnie Tyler, produced and directed by Steinman. This album also contains the Steinman penned songs "Ravishing," "Loving You's A Dirty Job But Somebody's Gotta Do It," "Rebel Without A Clue" and "Holding Out For A Hero." Jim also directed the highly acclaimed video for the Desmond Child song "If You Were A Woman And I Was A Man." The song "Holding Out For A Hero" was a #1 UK chart hit. The Jim Steinman directed video for "If You Were A Woman And I Was A Man" was nominated for seven Billboard Video Awards. Steinman produces these two singles from The Sisters Of Mercy's Floodland album. "This Corrosion" was a #1 Alternative Chart single. Steinman writes and produces this LP which is recorded by his all-girl band, Pandora's Box. Praised by critics as a career landmark. Jim co-wrote and produced this single for The Sisters Of Mercy Vision Thing LP. Back Into Hell - Re-uniting with Meat Loaf, Steinman writes and produces the album dubbed by the critics as "the comeback of the decade." Bat Out Of Hell II - Back Into Hell was the fastest selling album since Michael Jackson's Thriller and it contained the Grammy Award Nominated Song Of The Year (1993) "I'd Do Anything For Love (But I Won't Do That)," for which Meat Loaf also won the Grammy for Best Rock Vocal. It was the #1 Album Of The Year Bat Out Of Hell II - Back Into Hell and #1 Single Of The Year "I'd Do Anything For Love (But I Won't Do That)" in England with similar status worldwide. Wrote and produced the single "Original Sin (Theme From The Shadow)," recorded by Taylor Dayne. A Universal Pictures release. Jim co-produced this #1 UK single for the band Take That. Written and produced by Steinman, appearing on the Bonnie Tyler album Free Spirit. Written and produced by Steinman and appearing on Celine Dion's Falling Into You, the epic worldwide #1 "It's All Coming Back To Me Now" was also won BMI Pop Song Of The Year 1997. Jim also produced "River Deep Mountain High," and "Call The Man" on this same release. Released in support of the charity BBC Children In Need Appeal and performed by the Redhill Children's choir. This song was also performed during the Opening Ceremony of the 1998 Winter Olympic Games in Nagano, Japan. Produced this song for the Fox's first animated movie Anastasia. Additional production on this song which appears on Celine Dion's Let's Talk About Love. Wrote the music and produced this cast album in support of the hugely successful musical of the same name which is still running over 20 years later and has spawned numerous cast recordings. It will play St. Petersburg, Russia and Tokyo, Japan and Oberhausen, Germany in 2019. It has played in Vienna, Warsaw, Helsinki, Budapest, Berlin, Stuttgart, Tallinn, and Antwerp, among other locations. This laser-disc was the first release with isolated score of Steinman's epic music to this classic 1980 Universal movie that was directed by Rob Cohen, and starred Brad Davis and Karen Allen and Shelley Long. Produced this song sung by Marc Anthony and Tina Arena for the movie Zorro which starred Anthony Hopkins, Antonio Banderas and Catherine Zeta Jones. This West End smash featured lyrics by Jim and music by Andrew Lloyd Webber. Both an Original Cast recording and a Concept CD was released and featured Tom Jones, Meat Loaf and Boyzone, among others. Boyzone's version of "No Matter What" was a #1 hit (Webber's first) and was the UK Song Of The Year. This studio CD featured most songs by Steinman including three new songs, Home By Now/No Matter What and A Kiss Is A Terrible Thing To Waste (music Andrew Lloyd Webber) and Is Nothing Sacred (lyrics Don Black). The album went Double Platinum. The Jim Steinman and Andrew Lloyd Webber collaboration appears on the CD Andrew Lloyd Webber : Now & Forever. It's performed by Metal Philharmonic with lead vocals by Kyle Gordon. Jim's production of Vittoria! from Verdi's opera Aida appeared on the Opera Babes CD titled Beyond Imagination and was used as the FIFA 2002 World Cup theme. A belated CD release of the Ray Errol Fox and Jim Steinman musical. Made for MTV and co-released on Ravenous Records (Jim's label). This made for TV reinterpretation of Brontë's novel also had a six song CD for which Steinman contributed songs and served as Executive Producer. This classic by Steinman and Dean Pitchford appeared on the Shrek 2 Motion Picture Soundtrack. The most recent collaboration between Jim and Meat Loaf. It includes ten Steinman songs including older works such as Godz, How Do You Bury The Skull Of Your Country and, most notably, the more recent, Going All The Way Is Just A Start (a song in six movements) which features vocals by both Karla DeVito and Ellen Foley. This smash hit musical opened in Manchester, England to rave reviews and sold out shows. It continued with a sold out run at the London Coliseum and had a permanent run at the London's Dominion Theatre Original. It also played at the Ed Mirvish Theatre in Toronto, Canada and will play in 2019 in New York at the City Center. 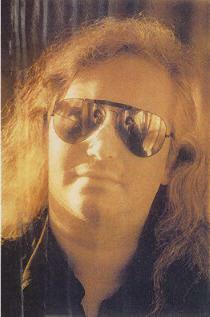 A cast recording featuring all songs by Jim Steinman was was released and was also co-produced by him. It features three new songs that appeared in the musical, Not Allowed To Love, In The Land Of The Pig The Butcher Is King and What Part Of My Body Hurts The Most.